The Napa River Inn welcomes you to the only Michelin rated luxury hotel in downtown Napa, California. We are located along the Napa River in historic downtown Napa. Napa River Inn is the ideal venue for a romantic wine country getaway, business meeting or retreat. Our accommodations provide fun, comfort, and relaxation. And many of our 66 rooms are provided with river-view, fireplaces and balconies. Our restaurants and spa have been voted “Best Of” by Napa Valley residents. Free WiFi, parking and breakfast-in-bed are some of the included amenities. 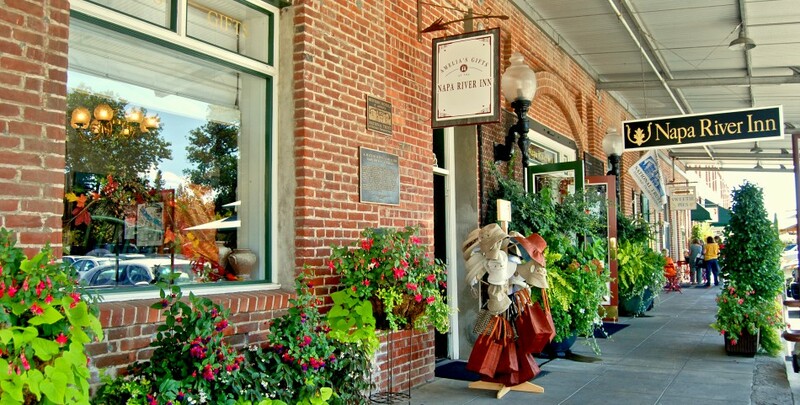 The Napa River Inn is situated within the Historic Napa Mill, a National Registered Landmark built in 1884. At the Mill you will enjoy restaurants, cafés, an art gallery, chocolate shop, an outstanding spa, and picturesque outdoor dining. The property has an historic feel while offering modern day comforts of wireless internet access, in-room breakfast service from award-winning Sweetie Pies bakery, and is within walking distance of 10 local wine tasting rooms. Discover the best kept secret of the valley.